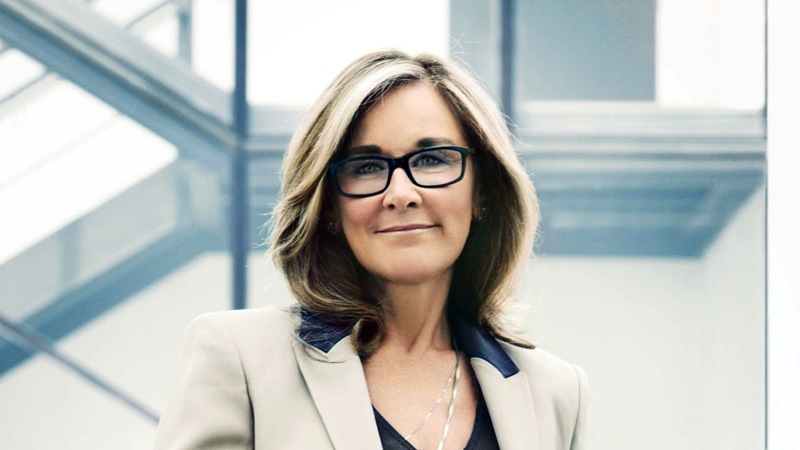 During today's second quarter earnings call, Apple CEO Tim Cook announced that the company's new retail and online leader, Angela Ahrendts, will be joining Apple next week. Ahrendts first resigned from British luxury fashion house Burberry in October of 2013, but was contractually obligated to stay on with the company for another six months as it transitioned to new CEO Christopher Bailey. As of April, Ahrendts fulfilled her obligations and became free to leave Burberry to join Apple. Earlier this month, rumors suggested Ahrendts might stay on with Burberry until June in order to pick up a two million pound performance bonus, but it appears that she will not be staying with the company in order to collect the payment. Ahrendts will join Apple as the Senior Vice President of Retail and Online Stores, a position that has seen significant turnover over the past several years. In 2011, Ron Johnson left Apple for J.C. Penney, after building up Apple's retail presence during his 11-year tenure. Johnson was then replaced by Dixons CEO John Browett, who served less than a year at Apple. Since Browett's departure, the position has been empty. Please let us know when "she starts work tomorrow" and then when she starts work -"her first workday at apple begins today"
If you don't know what to do with the 2 million pound bonus, I have a few ideas and can definitely be of assistance. Just send me a pm and we'll figure this out together. You shouldn't have to deal with this alone. Does seem to be an awful lot of stories about this? Just let this roll on your tongue and think about it: A 2 million Pound (!) performance bonus. In my opinion, the fact that the all-white male limousine liberal club that is the Apple senior leadership has finally allowed a woman is big news. They've finally realized that white men are not the only talented individuals out there. It's certainly a more relevant story than the breaking news that some clown actor will play Steve Jobs in a movie that nobody will see. Thats the tech story..Microsoft has 2 female execs at the top level. Google has 1 as well. Facebook also has 1. And GM, IBM, HP, Yahoo, and Lockheed have them as CEOs. Where's that glass ceiling? Angela, If you're reading this I deeply wish you all the best. The more I learn about you the more impressed I am. Your beauty and wisdom radiates from the inside out. I think you can do amazing things with Apple. From one "50/50" to another .... Knock their socks off Ms. Ahrendts!!!! Oh, and while you're at it put a little love in the Apple juice!! !